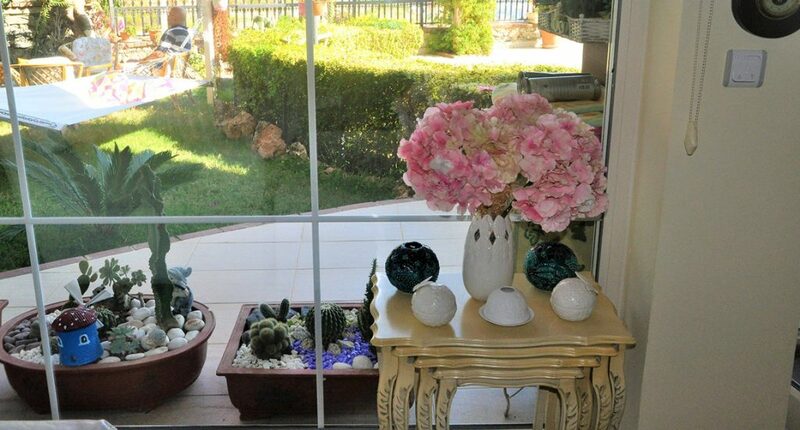 Like three fully proficient top models, Cıtır, Badem and Pıtır pose for the camera. They own a wardrobe that most people would be jealous off. For the ladies a closet full of dresses in all colours and styles, for the gentleman a fine collection of fancy cardigans and cool pants. And we’re not talking confection style. 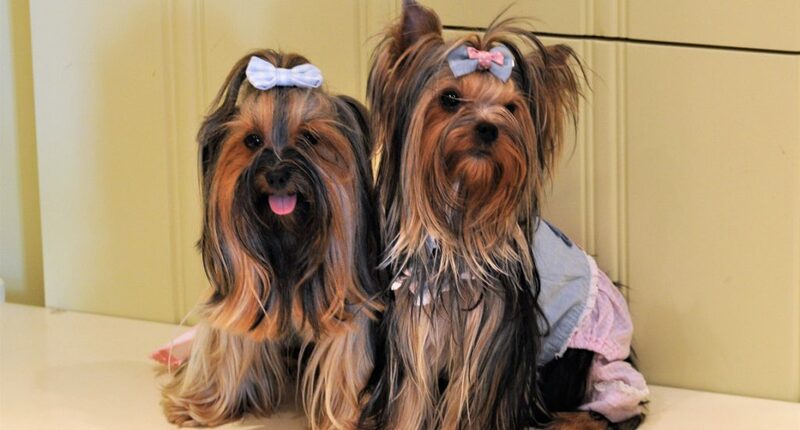 The three Yorkshire Terriers wear haute couture! 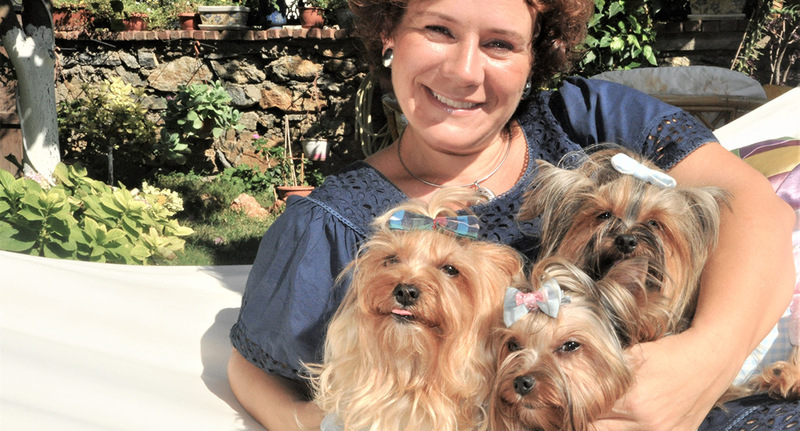 The beautifully decorated villa belonging to Menekşe Yalcın in the Tepe district of Alanya is home to the brand ‘Dog’s Mon Cheri’, a clothing line for small dogs. 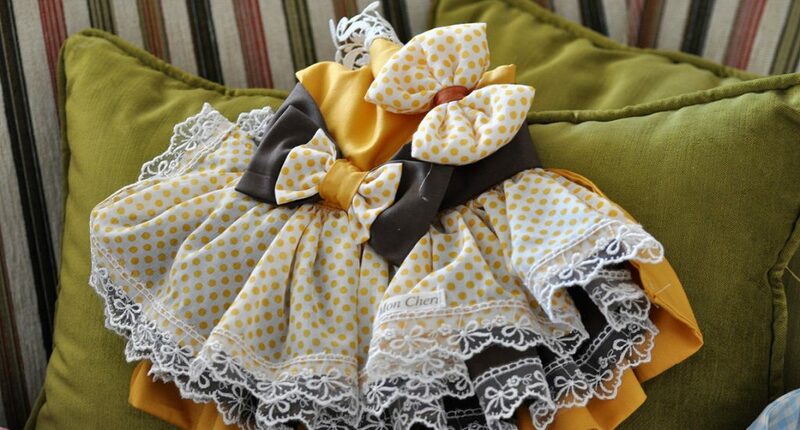 Menekşe Yalcın invents, designs and assembles each piece of clothing herself and uses only high quality materials. 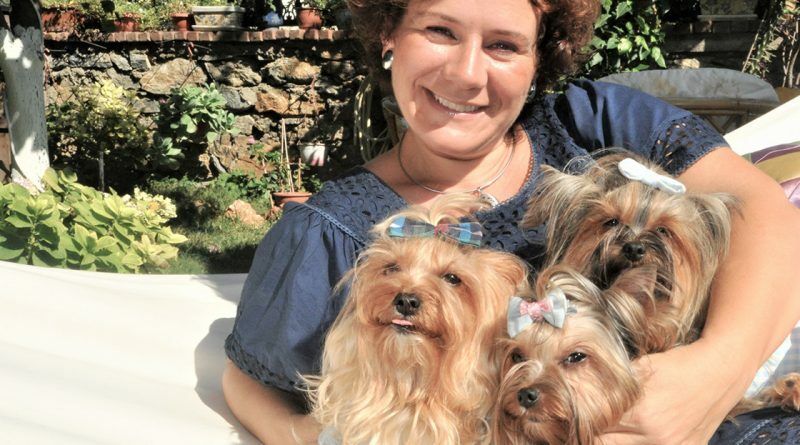 “Mon Cheri represents haute couture for dogs,” says the creative businesswoman and owner of the three lively Yorkshire Terriers Cıtır, Badem and Pıtır. This article is published in Hello Alanya Magazine October 2014 and updated on 15 March 2017.